*Note: We invite you to join our Club. Please email the Club Secretary for further details. 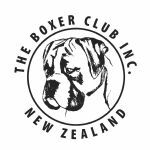 *Note: All Website advertising should be forwarded to the Website Co-ordinator along with a cheque made payable to "The Boxer Club Inc."
* Note: All advertising should be forwarded to the Bulletin Editor along with a cheque made payable to "The Boxer Club Inc."
The front cover must be booked in advance, ALL copy should be with the Bulletin Editor by the 01st day of the month the the Bulletin is published, June, September, December and March.